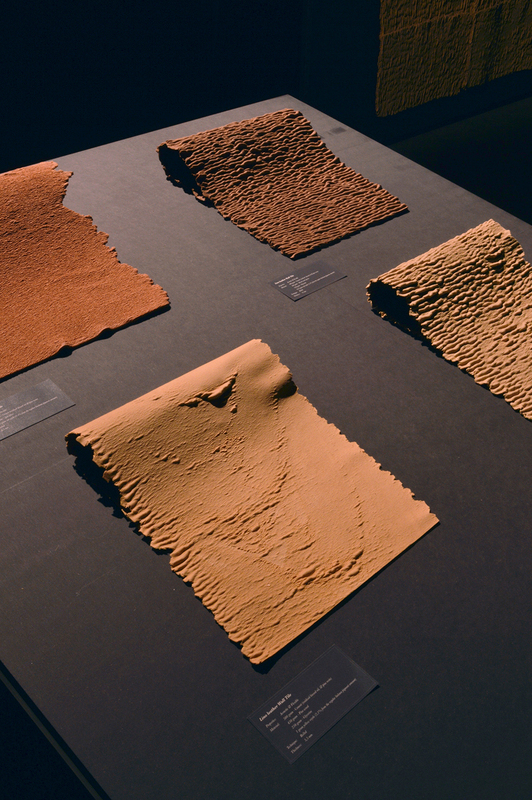 A material research in which the production process of linoleum was altered in order to develop it into a more sensual material with a wider range of applications. Linoleum is mainly applied for flooring but by varying the amounts of components like linseed oil and limestone, the material can become less or more soft and flexible. Due to these characteristics, the material gains texture during the regular production process of linoleum. 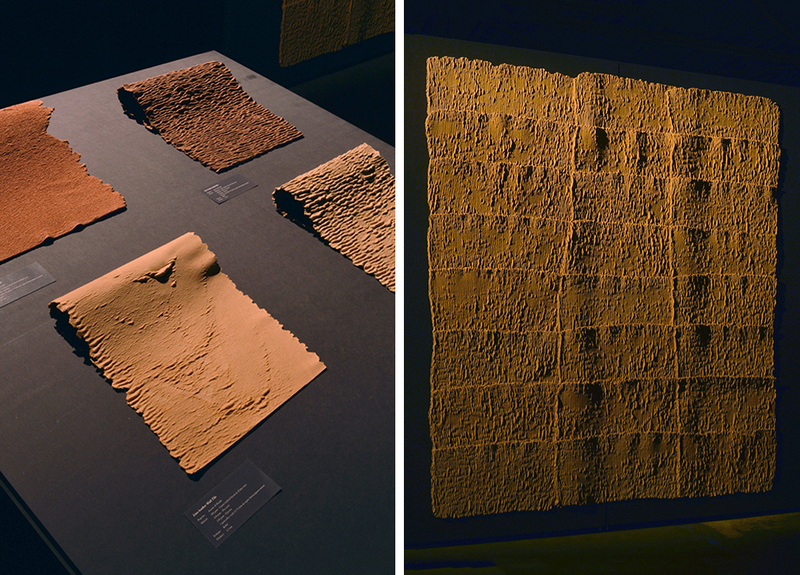 Because of their texture and weight, the material can be applied as wall tiles, functioning as acoustic wall covering with a texture similar to rumen leather. 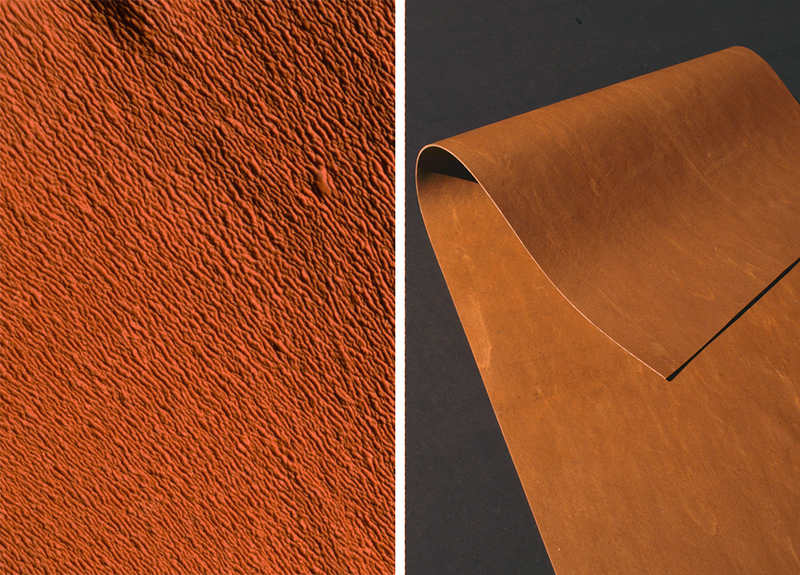 Lino Leather can also be applied as a vegetal leather-like material in furniture. By mixing linseed oil with wood fibres and by pressing a fibre net in between two layers of Lino Leather, the material becomes more flexible, self-supporting and gains the advantage of having two useable sides instead of one.